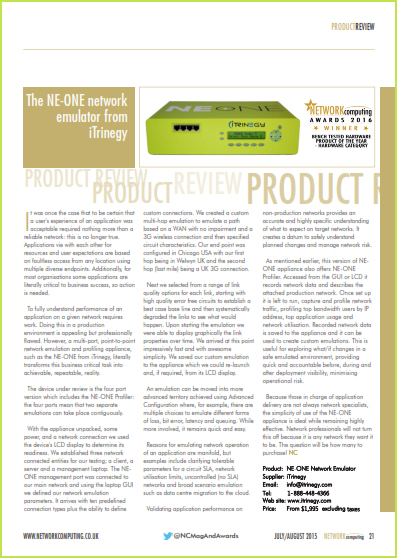 Periodically we submit our products for review by Network Computing. iTrinegy has no influence over these assessments which are completely independent and based on the observations of the Network Computing editorial team. “The tasks that can be fulfilled using INE seem limitless and include application deployment testing, data centre consolidation, application development and testing, DevOps support, continuous testing, SD-WAN and operational testing”. 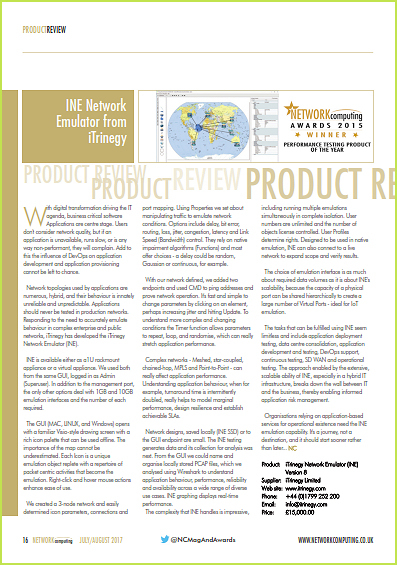 “Organisations relying on application-based services for operational existence need the INE (network) emulation capability. It’s a journey, not a destination, and it should start sooner rather than later… ”.